About two million hospital-acquired infections (HAIs) occur in the US every year, which leads to up to 100,000 annual deaths. Approximately one-third of these infections may be prevented by infection control measures such as improved hand hygiene. It is highly recommended to sanitize hands after glove use. However, compliance with hand hygiene guidelines is at 50%5therefore a modified glove (Doffy ™ Glove) was tested in this field study. A total of 317 HCWs at the Hannover Medical School were randomized for the use of standard gloves or the modified product (Doffy™ Gloves). Doffy™ Gloves have a textured doffing aid in the wrist area that can be grabbed during removal. After gloving a fluorescent solution was distributed on the gloves in order to simulate hand disinfection. 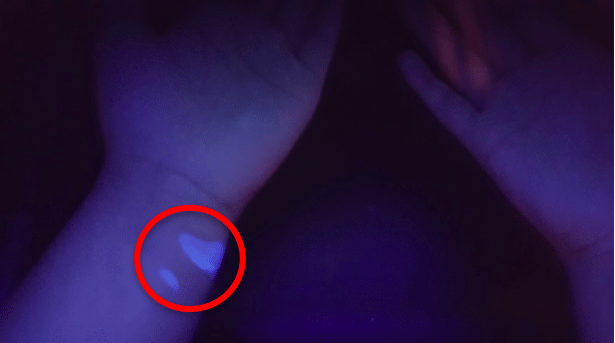 Then the gloves were removed and contamination spots were evaluated inside a UV box. When performing a multivariate regression analysis, Doffy™ Gloves were independently associated with significantly lower contamination rates than were standard gloves. Medical examination gloves have been available for more than 50 years and are used frequently for multiple purposes (over 200 billion medical gloves were sold in 2017). This study demonstrates that a product modification can have significant impact on the handling and subsequent contamination rates during medical glove removal. 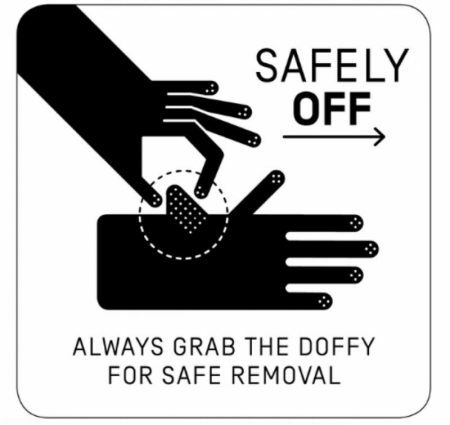 Taking into account the low compliance with hand hygiene guidelines and the problem of bacterial spores (e.g., C. difficile) that cannot be inactivated by alcohol-based hand sanitizer, Doffy™ Gloves aim to solve an important problem for hospitals and nursing homes. Due to several factors, antibiotic resistance is rising worldwide. Pneumonia, blood poisoning, and other infections can have fatal consequences because antibiotics fail due to multiresistant bacteria strains. 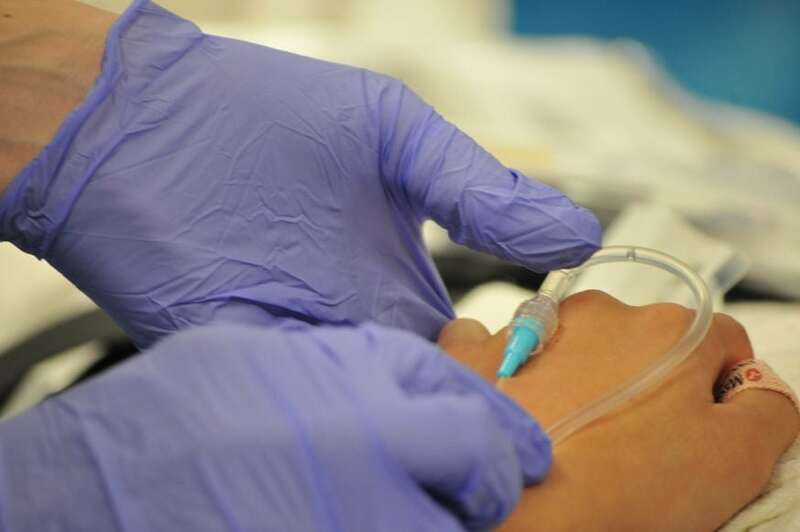 Therefore the numbers of nosocomial infections with multiresistant bacteria are rising and treatment of the often multimorbid patients is becoming increasingly difficult. The study by Gleser et al shows that Doffy™ Gloves have the potential to reduce the amount of nosocomial infections because cross-contamination during glove removal is significantly lower. Over 600.000 preventable nosocomial infections occur in the US every year and prevention of germ transmission via hands of health care workers is the most important factor to lower nosocomial infections rates. Therefore, further studies with the Doffy™ Gloves are needed to evaluate their long-term impact on the nosocomial infection rates in hospitals worldwide. These findings are described in the article entitled Modified gloves: A chance for the prevention of nosocomial infections, recently published in the American Journal of Infection Control. This work was conducted by Maxim Gleser, Philipp Solbach, and Ralf Peter Vonberg from Hannover Medical School, and Frank Schwab from Charité-University Medicine Berlin. Boyce JM, Pittet D, Healthcare Infection Control Practices Advisory Committee, Society for Healthcare Epidemiology of America, Association for Professionals in Infection Control, Infectious Diseases Society of America, et al. Guideline for hand hygiene in health-care settings: recommendations of the Healthcare Infection Control Practices Advisory Committee and the HICPAC/SHEA/APIC/IDSA Hand Hygiene Task Force. Infect Control Hosp Epidemiol 2002;23(Suppl):S3-40. Centers for Disease Control and Prevention (CDC). Recommendations for prevention of HIV transmission in health-care settings. MMWR 1987;36(Suppl 2):1S-18S. World Health Organization. Best practices for injections and related procedures toolkit. Annex A, indications for glove use in health care. 2010. Available from: https://www.ncbi.nlm.nih.gov/books/NBK138494/. Accessed August 21, 2017. Tomas ME, Kundrapu S, Thota P, Sunkesula VC, Cadnum JL, Mana TS, et al. Contamination of health care personnel during removal of personal protective equipment. JAMA Intern Med 2015;175:1904-10. Hand hygiene for the prevention of nosocomial infections. Kampf G1, Löffler H, Gastmeier P.Dtsch Arztebl Int. 2009 Oct;106(40):649-55. Maxim is the Chief Executive Officer at IP Gloves GmbH and research scientist at the Hannover Medical School.